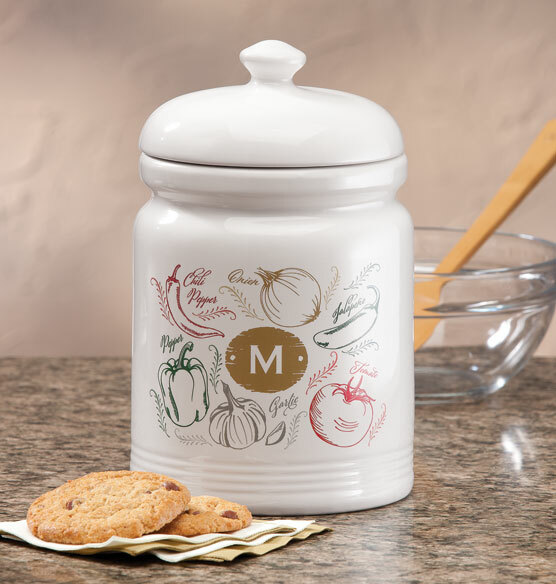 A bounty of delicious fresh produce adorns this personalized Farmers Market Salsa cookie jar. Perfect for storing a batch of newly baked cookies, with a silicone seal to keep the goodies fresh. Personalize with a single initial to create a unique display piece for the kitchen counter. My neighbor makes great salsa and shares with us regularly. 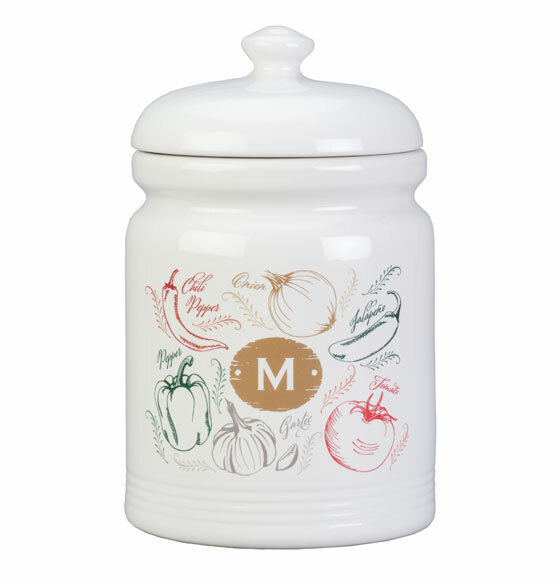 This jar although it says a cookie jar is perfect to store her left overs!